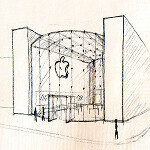 What does the opening of a fourth Apple Store in the city of Houston, Texas have to do with the launch of the Apple iPad 3? According to the Houston Chronicle, a few weeks ago the guys in Cupertino decided to change the date of the grand opening of the latest Apple Store in Houston from March 17th to March 16th. Now that might mean absolutely nothing, or perhaps Apple wanted to avoid a grand opening on St. Patrick's Day. But there could be a connection with the launch of the third-generation Apple tablet. Last year, the Apple iPad 2 was introduced on March 2nd and was launched 9 days later on March 11th. This year, Apple has confirmed an event for March 7th and the smart money is betting that the Apple iPad 3 will be announced. Add the same 9 days between introduction and launch that we saw last year for the iPad 2 and it brings us to March 16th as a possible launch date for the Apple iPad 3. One rumor has the Apple iPad 3 launching stateside on March 16th and then breaking out internationally on March 30th. 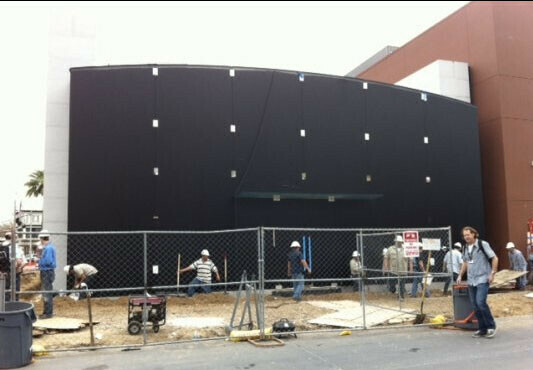 The new Houston Apple Store is currently covered in black cloth to hide a glass back, front and curved roof. It is said to resemble a smaller version of the store that opened last year in New York. It will be the first of Apple's Houston stores to not be inside a mall. And while the tech giant has not yet officially announced the new store, it posted notices for jobs last year. This is correct. Nothing else to say.